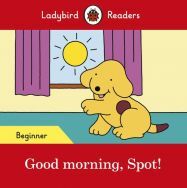 English for Beginners is a Ladybird series designed for young people learning English worldwide. The emphasis is on word recognition and word learning through simple, clear text and colourful pictures and activities. 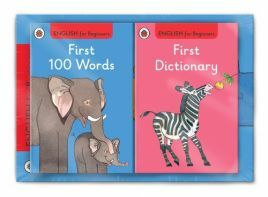 Each hardback book is accompanied by its own workbook, re-enforcing the learning process in a structured but entertaining way. 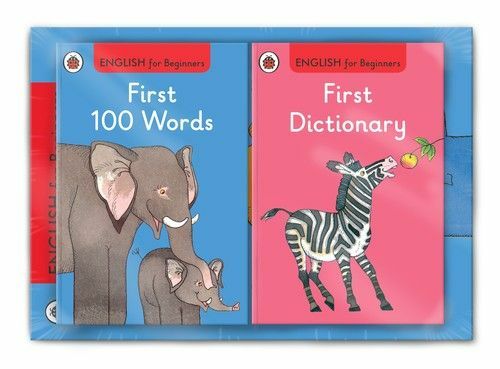 English for Beginners Pack 1 includes First Words, First Dictionary, Everyday English and three accompanying workbooks. Gotowi na nowe wyzwania w towarzystwie Meridy Walecznej?W świecie zabawy z językiem angielskim czekają także:Roszpunka, Sulley i Mike, Kopciuszek oraz Chudy.Do podręcznika dołączona jest płyta DVD.